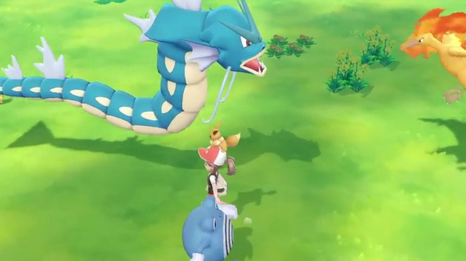 As the name of the game might suggest, Pokemon: Let's Go, Pikachu will have connectivity with Pokemon GO. With it, trainers can send their Pokemon from Pokemon GO to Pokemon: Let's Go, Pikachu, allowing trainers to capture said Pokemon within the latter game in an area to be called GO Park. In GO Park, players playing Pokemon: Let's Go, Pikachu can interact and capture the Pokemon they sent from Pokemon GO.